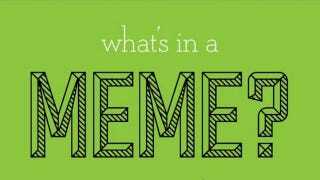 What Exactly Is a Meme? You've seen hundreds of 'em. You hold a few dear to your heart. You love seeing that Impact font. You laugh at those who call it meh-meh or mimi (even if you once did). You think you know the Internet, so you think you know what a meme is. But how did memes take over? Probably by being memes.